There is still a huge share in the sale of watches occupied by a relatively inexpensive quartz watches, but more and more people are aware of the quality and pleasure of wearing and owning a mechanical wristwatch. About a hundred years ago, at the beginning of production of wrist watches, each watch was mechanical. To some it may seem incredible, but the batteries and quartz mechanisms were not yet invented, so all mechanisms were mechanically adjusted and made smaller than in the previously popular pocket watches. After the successful start, mechanical watches ruled the world for the next half-century, and then arrived quartz watch. Switzerland horology industry was caught sleeping at a time, and like a sleeping beauty, froze all their activities and watched in shock the rise of awakened giant. Many manufacturers that produced mechanical watches have closed their doors, practically overnight, but there were those who thought otherwise. So some manufactures started producing quartz watches, while the bravest insisted on producing only mechanical watches even though the demand for them was very small. For decades, the quartz watch ruled the market, while the mechanical watch was viewed as dinosaurs – keeping them alive only by rare and somewhat strange fans. 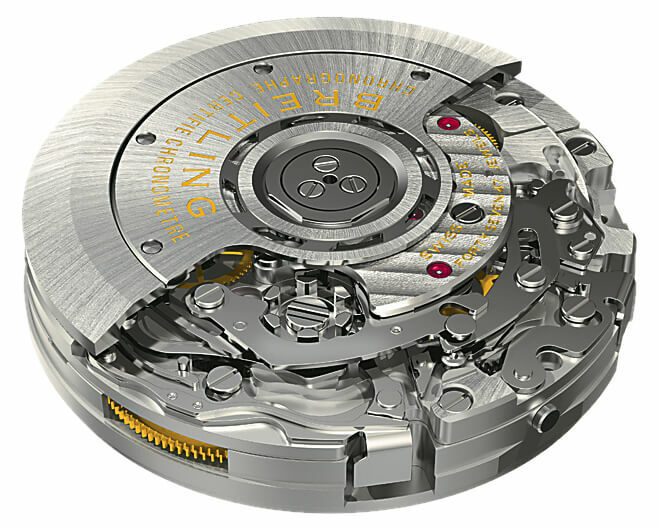 Breitling is one of the few brands which presented its first mechanical mechanism just a few years ago. B01 is an exceptional mechanism which will be produced in large quantities. It is available in their Chronomat model. Then happened big comeback of mechanical watches. In the last decade of the last century, mechanical watches began to reach the higher prices at the auctions and to appear in a number of stores. Since than mechanical watches each year has gained an increasing percentage of the total sales of watches in the world. Of course, still a large proportion of the sales is occupied by a relatively inexpensive quartz watches, but more and more people are aware of the quality and pleasure of wearing and owning mechanical watches. There really is something special when you hear the mechanical watch ticking on your hand. This mechanism is like a living thing. 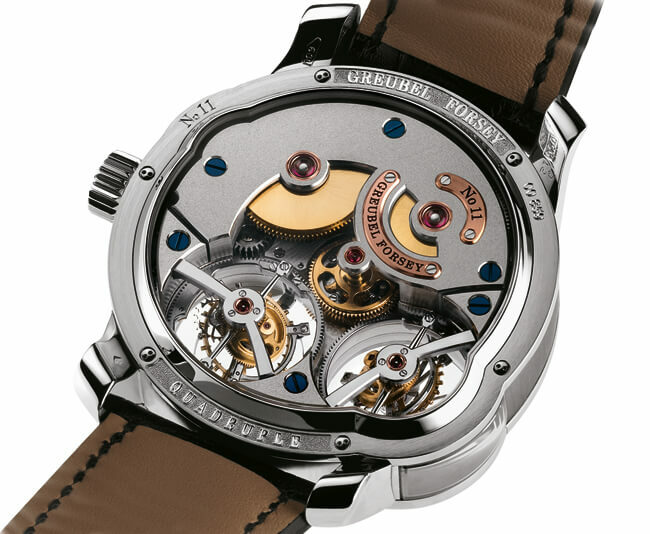 A mechanical watch is a connection with the past, with the time when first wrist watches appeared, but also a symbol of the future. 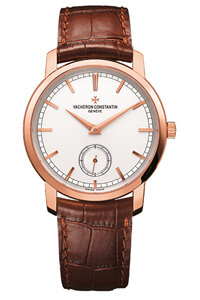 Vacheron Constantine collection Patrimony embodies true elegance, and Vacheron mechanisms are true marvels of horology craftsmanship. 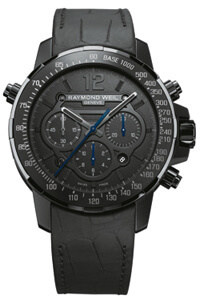 Raymond Weil collection Nabucco had a great success when it was launched in 2007. 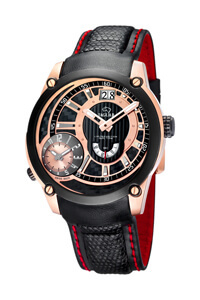 Next year they presented Nabucco Rivoluzione, watch made of titanium and carbon fibers. GC has had big success in the last few years thankfully to the concept of producing affordable luxury watches. This model is equipped with Valjoux calibre 7750 but its price is lower than from the more recognized brands. Because many watch manufacturers, besides fervently guarding their glorious heritage, strive to be ahead of its time, representing every season new mechanisms, new materials, new ways of timing. Every mechanical watch, at all stages of production, assembly, adjustments, and finally daily use requires human hand. Unlike quartz watches that are in most cases assembled by machines, not humans. 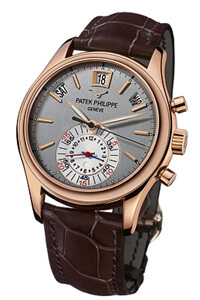 Patek Phillipe is the most prestigious brand today. This exceptional yearly calendar is one of the proofs of the importance of this brand. Patek Philippe guarantees other levels of quality that exceed even the requirements of famous Geneva Seal. 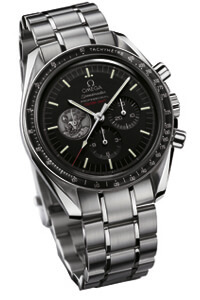 This Omega Speedmaster was issued as a reminder of famous Moon watch that had identical mechanism. 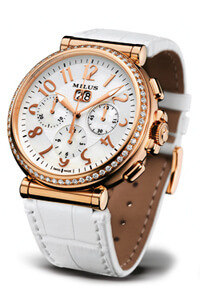 A Milus Zetios chronograph is equipped with a skeleton flywheel of automatic mechanism shaped like the Milus logotype. The watch is decorated with 62 brilliants. Just this tick-tock backed by human hand is the very essence of the value and significance of the mechanical watch. Speaking of ticking, it’s time to recall our childhood when we explored the ways our grandfather’s watch worked. At that time, many unhappy watches got broken by the curious hands of children, but watch industry had a solution to this problem by opening the casing dials or backgrounds of its models. Through a transparent background or openings on the dial all the curious kids were free to see how the mechanism works. Jaguar is manufacturing watches which are run by dependable ETA mechanism and its price justifies investment in mechanical watches. 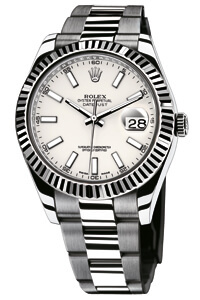 This watch is one of the latest models in the all time Rolex Oyster collection. Most of the world’s best mechanical watches came from the land of cheese, chocolate and watches – Switzerland. 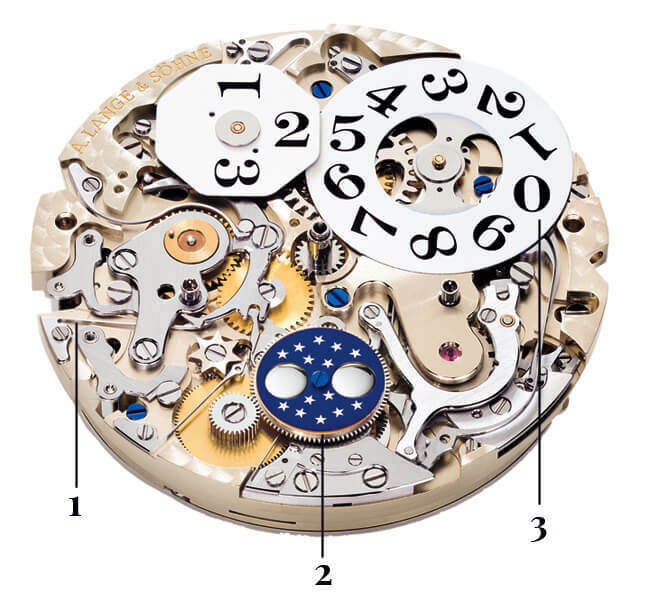 To find the best mechanical watches, you should follow a few simple rules. It is a good thing that the watch has a Swiss-made label and it is desirable to have the Geneva seal, proof that it is made in compliance with the Geneva manufacture, with recognition of many quality standards. After that you should only decide on the style, complications, cost, etc. Although this mechanism is not produced in Switzerland it is one of the best examples of high horology. 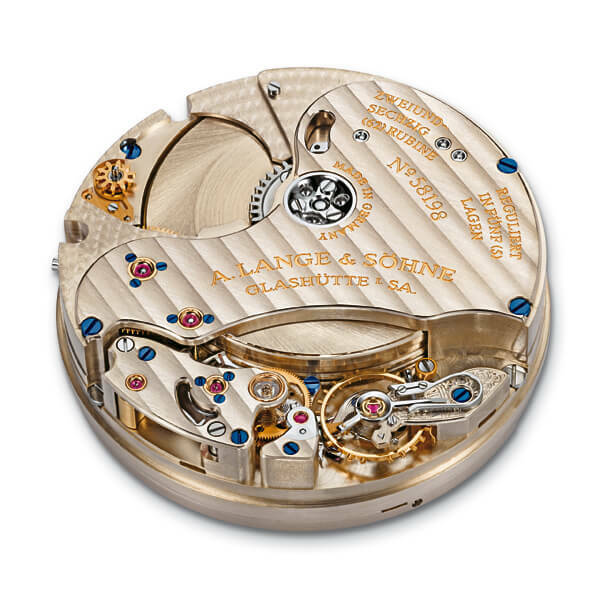 A.Lange & Sohne is horology brand from Glashuette and it is marveled by watch enthusiasts from all over the world. 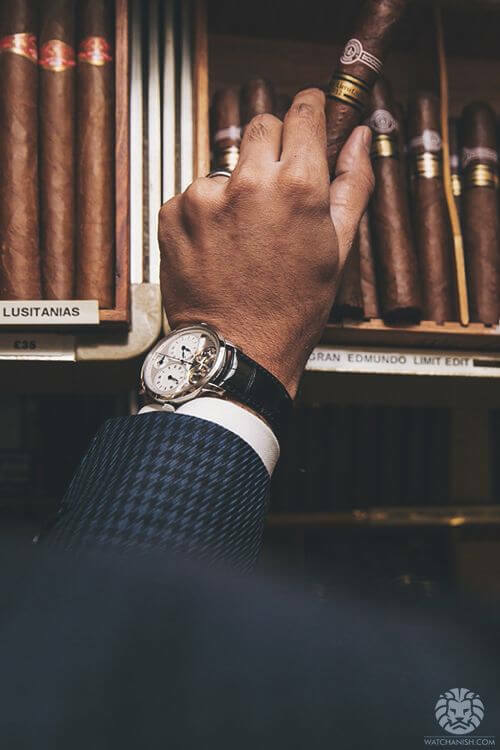 One way to assess the value of a mechanical watch or brand you want to buy is information on what mechanisms the brand that you like is using. The huge number of brands on the market today followed the trend and revived production of mechanical watches, but few, very few are capable of independently producing mechanisms within its manufacture. Patek Philippe, Audemars Piguet, Piaget, Jaeger-LeCoultre, A.Lange & Sohne and a dozen well-known global brands can wear the title of integrated manufacturing, proof that all parts of a watch are produced by that manufacture. Other manufacturers make watches in cooperation with other factories or they simply buy mechanisms from the factory specialized in producing mechanisms. One of the best known is certainly the ETA, which now operates under the powerful Swatch Group and owned by Nicolas G. Hayek. ETA announced that it will soon stop to deliver unfinished mechanisms to its customers, and they will be able to buy only a complete and costly mechanisms without their personalization. 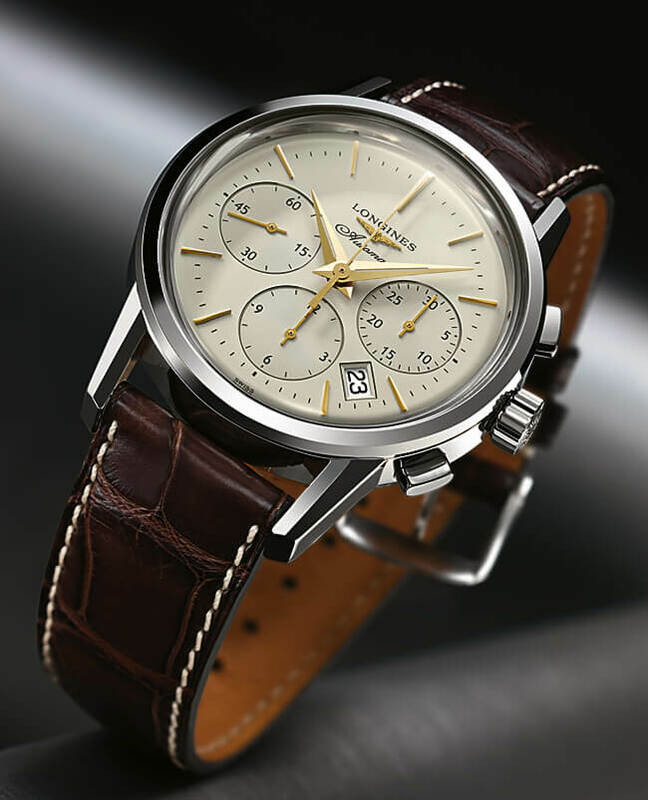 Longines, brand with tradition dating to 1878, in cooperation with ETA constructed automatic winding chronograph which has the option to measure the fragments of time. Alarm bells rang in many brands and one after the other now independently or in conjunction with smaller, independent producers produce their own mechanisms. It is the latest example of Breitling which gained fame despite that until now they had no home produced mechanism, but Breitling is not alone. Many manufacturers have decided to take this step, which in Switzerland produced a huge demand for high-end watchmakers who are currently paid as a surgeons. The economic crisis will certainly slow down the growth of the Swiss watch industry, which in recent years is developing in double digits, but this will not stop the demand for the mechanical watch. With its purchase you simply cannot go wrong, a mechanical watch is here to stay. 1 Chronograph. A chronograph is one of the basic and most common complications. Often it is confused with a chronometer, which is something else entirely. The chronometer is a clock that has met certain tests of quality and, as such, it will be marked chronometer. 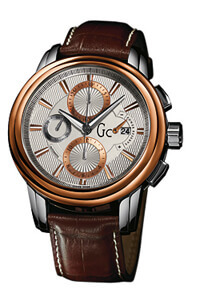 Chronograph serves us to measure the passage of time and stop it at will, regardless of the clock that shows the time. 2 Moon Phase. Clock with such a complication shows us in which phase the Moon is currently located. It is generally a rounded display on the dial, which thanks to the disk that rotates the dial simulates the look of the current moon in the sky. 3 Perpetual Calendar. Calendar that automatically counts down the number of days in different months, even for leap years. Except for rare exceptions, it must be set only in the secular years that don’t leap at the same time, such as, the 2100 and 2200. Complications are a good thing. Although in modern life in all possible ways we try to avoid complicated things and people, complicated watches are something else entirely. Complications differ ordinary watches from unusual ones – to put it simply, even the addition of the date display is considered a complication. Most popular complications are chronograph, day and date display (annual calendar), the lunar phase and dual time zone. In more complex, but equally favorite complications include a perpetual calendar, minute repeater and tourbillon. Just this last is considered a most complex complication. It can consist of more than two hundred parts, and the first models were made back in the 1798. Future of complications is clear – they will be more complex inside and clearer outside. Watch that gets mark of high or grand complications may be the one who has a minimum of three serious complications. One of the most popular combinations is a chronograph, perpetual calendar and minute repeater. 1 Comment on "Big Comeback of Mechanical Wristwatch"
For clarification, a tourbillon is not a complication.